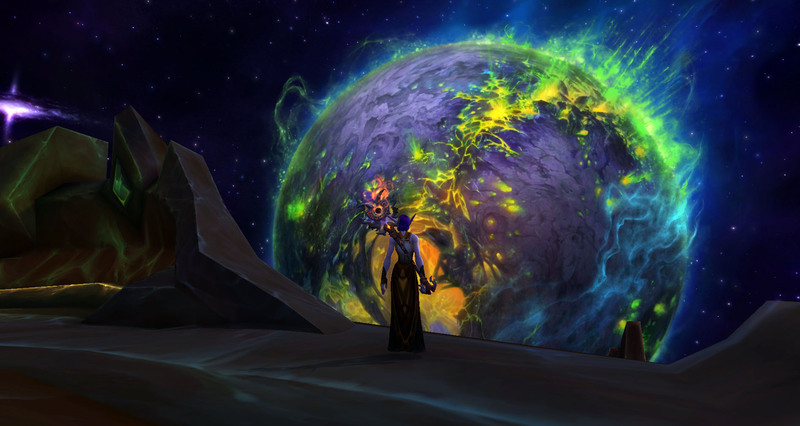 Tier 20: does it even exist for resto druids? Usually a new raid is really exciting because it brings upgrades but I’m pretty much over halfway through mythic Tomb of Sargeras and I’m still wearing Nighthold tier. It’s not from lack of drops.. I’ve got the full 6 set including 2 pieces of mythic and the rest heroic warforged but I just don’t know when to change into it. 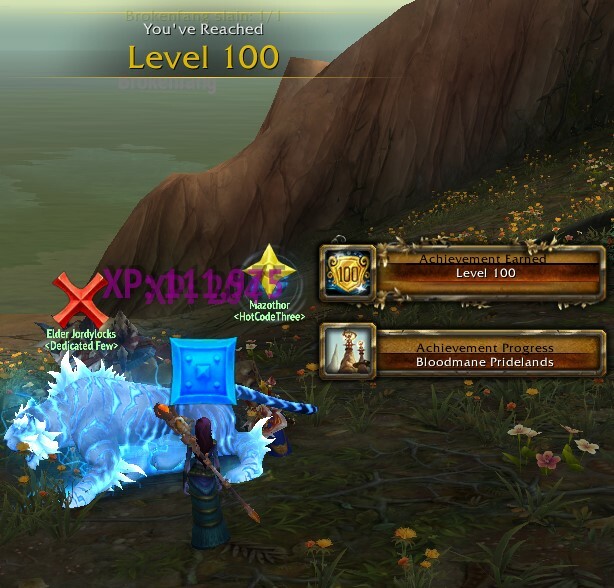 Tier 19 was awesome for restos, the 2 piece gave us 4000 mastery for 7 seconds after a wild growth and 4 piece gave the chance of an extra rejuv to randomly proc on a person. Both handy bonuses. Tier 20 on the other hand.. the 2 set gives a chance for a direct heal’s cd to be shorter based on the health of the person you’re using it on (up to 40% reduction based on less health). The cd is usually 30 secs and the most I’ve been able to get it reduced to is 20sec. To get the full 40% reduction a person pretty much needs to be under 10% health which in raid situation with 3 other healers spamming on low health targets, you’ll be lucky to see this regularly. To try to get the max cd reduction means it’s also a case of deciding if you’ll hold off using the spell in case another player drops a bit lower than your intended target. On it’s own the 2 piece is actually very weak. The 4 piece bonus boosts the healing of your Efflorence ground effect spell by 200% when you use Swiftmend, Very nice sounding bonus but so dependent on the fight being stacked with minimal movement for periods of hopefully at least 10 secs, or longer so you don’t have to move efflo each time. 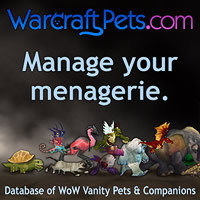 I’ve been looking at warcraft logs a lot to see how many people are moving away from Tier 19 and I can’t find any druids who are healing really well who are actually wearing T20. First full page of druids for each fight is pretty much showing everyone still in NH gear. The few times I’ve tried swapping into 4 pce ToS gear my healing just seems a lot lower than when I’m in Tier 19. You’d think Sisters on Mythic would be great as the mythic version is very much a stand still/stacking fight, people very rarely move around during the times when the floor is changing colour so Efflo can at least stay down in one place for as long as possible but it doesn’t seem to really boost HPS at all. It really feels like something went wrong in the design process when you have pretty much a whole class skipping a tier in favour of staying the previous one and it doesn’t help that our tier bonus really changes the way your play druid, moving the emphasis away from your hots and onto a ground effect. It’s really bad in 5mans where there’s too much movement and too little time people stay in your ground effect to actually even waste time and mana dropping it. It really feels that whoever designed the tier just doesn’t really have a good handle on the Druid play style. Item – Druid T21 Restoration 2P Bonus – Yseras Gift Applies HoT: Ysera’s Gift now applies Dreamer to the target, healing them for (240% of Spell power) over 8 sec. Item – Druid T21 Restoration 4P Bonus – Ysera’s Gift Heals Faster: When you cast Wild Growth, you have a 50% chance to cause Ysera’s Gift to heal a target 400% more frequently for 10 sec. Ysera’s gift is the passive that heals me for 3% of my maximum health for 5sec, if I’m at full health it goes to a random injured player instead. It’s a fairly mindless bonus but at least it’s back to hots which is a Druids bread and butter fantasy. I keep waiting for either a buff to Tier 20 or a nerf to Tier 19 to make us move away from it, but there’s been utter silence on it. Rather like the silence surrounding Druid’s discussion over our messed up class ‘form’. 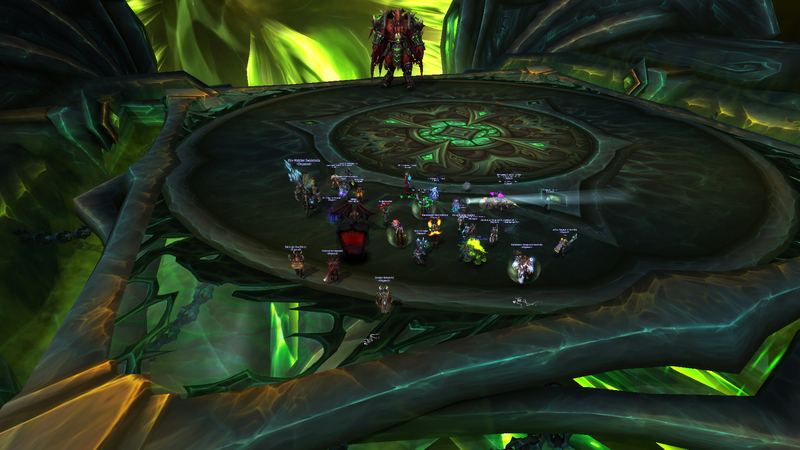 We finished the regular week’s amount of raiding at 8/9H on our mains, achieved through 2 split runs. 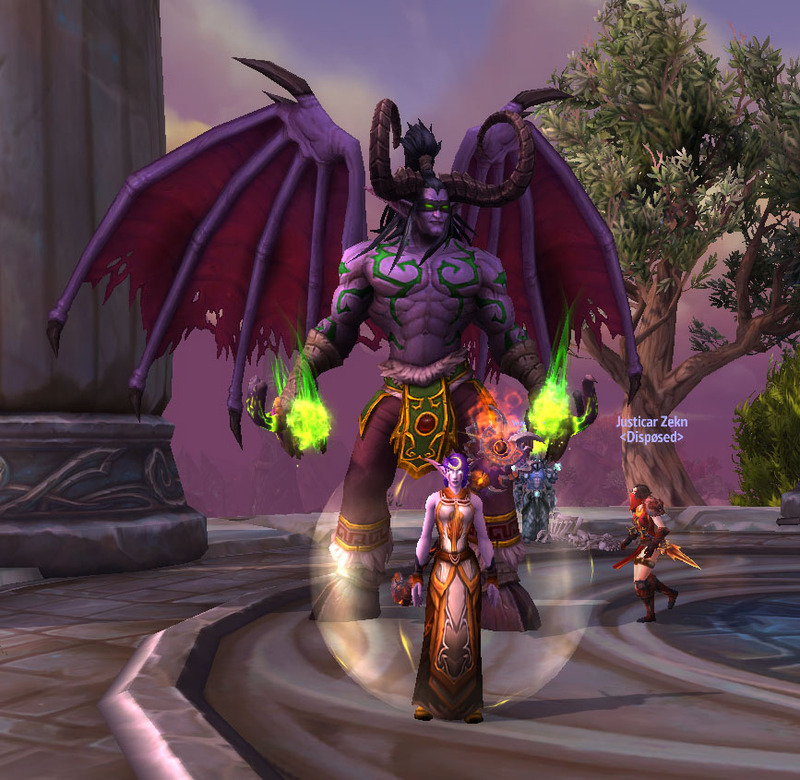 We had all come back together on mains on Monday night to work on Kil’jaeden but we just didn’t get him down, so a decision was made to come back on Tuesday when hopefully everyone was a bit fresher. 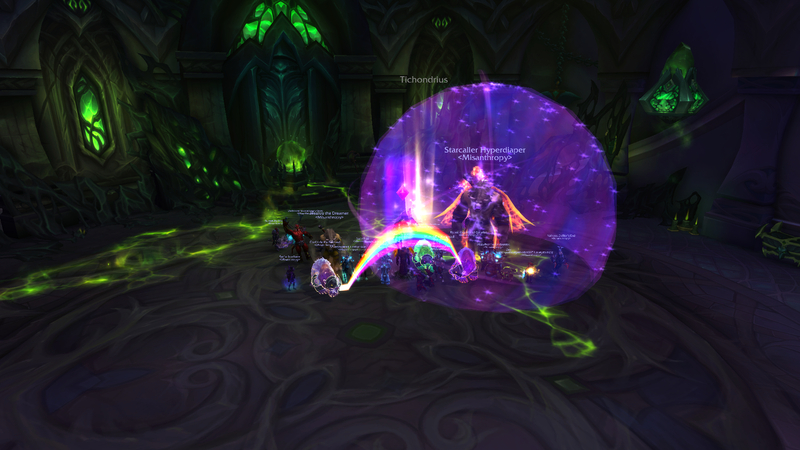 Monday was a huge night of raiding, we spent a good bit of time on Fallen Avatar on the first split run and then when he was down, worked from the 3rd boss back up through to the 8th, raid was longer by an hour and half for the 2nd night in a row to make sure it was all done. I don’t know about anyone else but I was really mentally tired from being in there on 2 different healers for a bit, so I was more than happy to come back the next day. Walking back in on Tuesday was much better, but it still took a bit of time to get all the mechanics under control, there’s a lot of stacking and spreading and running to specific spots.. sounds like a normal boss fight really 🙂 You fight him on his spaceship and I was a bit worried about falling off into space but the platform was actually quite big, phew. 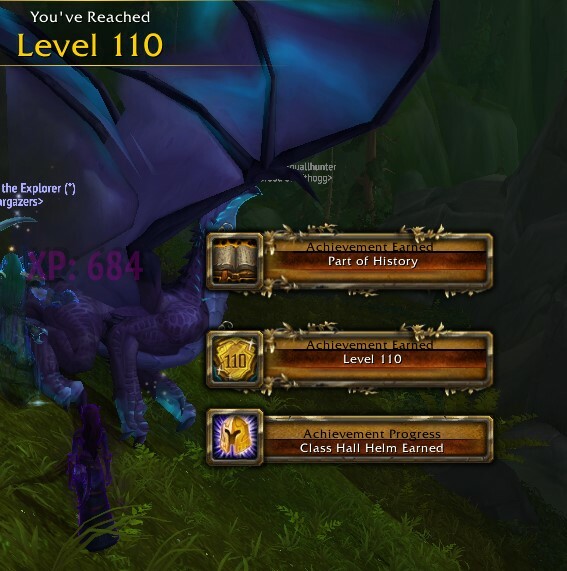 The fight actually wasn’t as difficult as I thought he would be, for a long while the first 1 or 2 on Mythic have generally been harder than the last on heroic but it didn’t feel like that this time. Maybe because everyone was pretty geared from NH and Mythic plus runs. We ended up having to take an hours break with the brief shutdown for restart but we got him down not long after it came up. 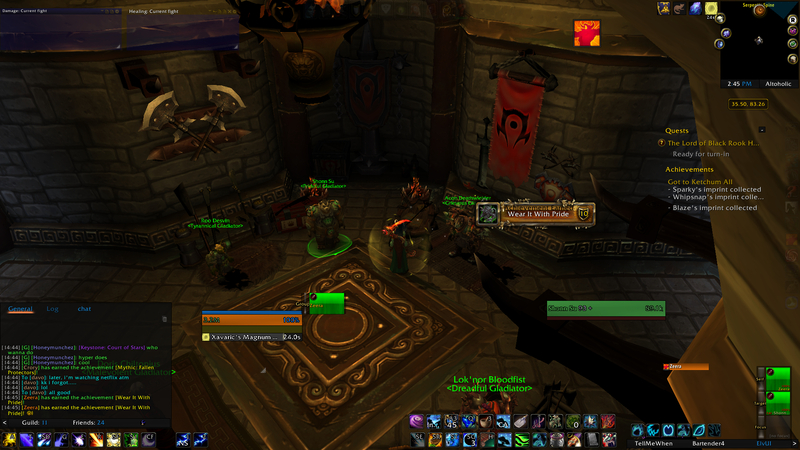 This is the first time I’ve collected the Ahead of the Curve achievement in the same week a raid has gone live. 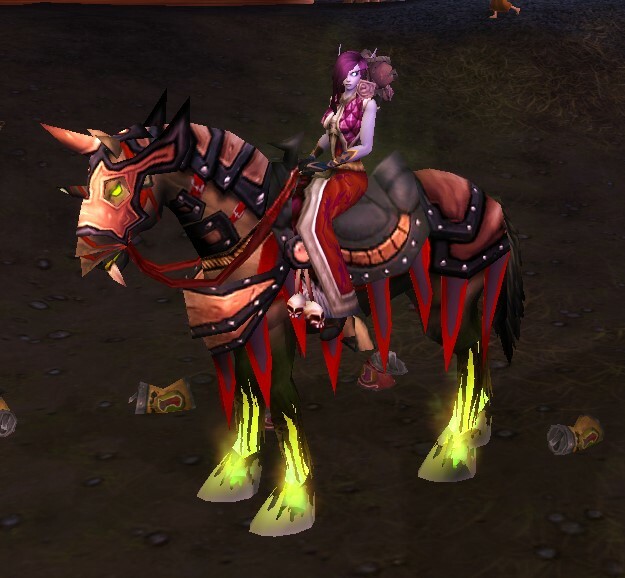 It’s pretty good getting it so early as that means mythic can be started on that bit earlier. Time to start watching a lot more videos on changes. Once KJ dies, you get to watch the cutscene that’s been floating around for the last week or so, then you get teleported down to Azsuna. 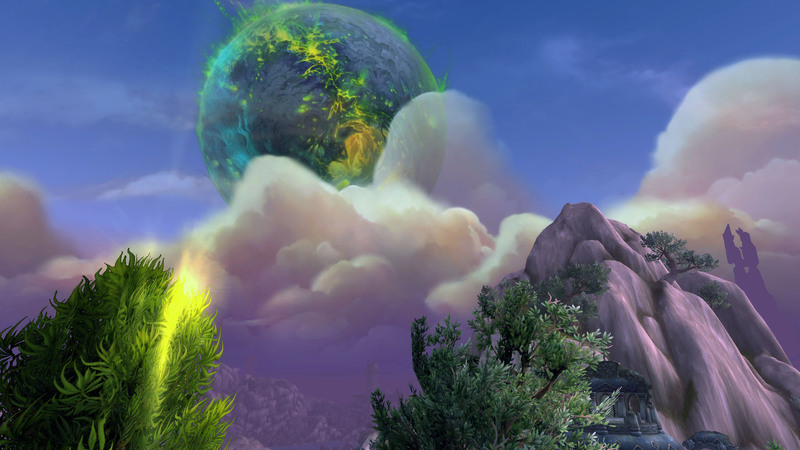 It’s still part of the instance so you can’t leave and you can catch up with Illidan and Khadgar for some congratulations and from then on Argus is floating above Azeroth. The image of Aegwynn is there in Azsuna and you can talk to her to be sent back to the ship where you fight KJ and you can get some really good close up views of Argus. It looks phenomenal and scary, I cannot wait to go there. As to how I’m going in my new guild/raid team, I really don’t think that well. They are really good raiders, and I’ve done a couple of mythic plus with a few people but it’s not a super friendly guild. Well I don’t think so and I’ve been in there a month. And my healing is horrid, I’m not coming near the other healers in healing numbers. 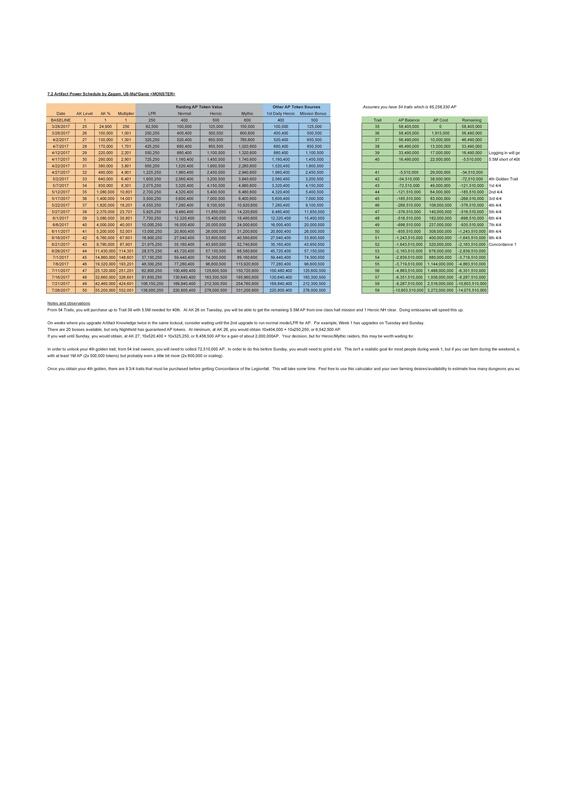 It doesn’t help that we are 5 and 6 healing heroic/normal for only 26 people but the other main healers seem to push out phenomenal numbers even with that amount of overhealing and I just don’t. I do have some good numbers; I have really low damage taken, and really low deaths and higher dps on bosses.. but none of that is raw healing numbers and I feel inadequate. I really don’t think I’ll end up raiding mythic with this guild, with 4 other really fantastic healers I can’t see there being too much room with an extra. 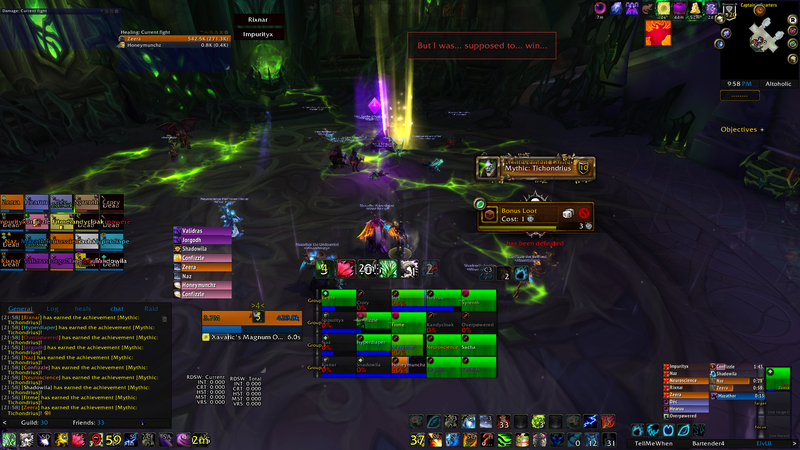 But for now I’m still raiding and that’s pretty cool, we’ll just have to see what mythic brings. I went in with the new guild last night for a re-clear of Nighthold and stayed in for the Gul’dan fight. Even though I had seen up to the last part of Phase 2 before, I was still so terrified I’d really screw something up and be asked to sit. It ended up being no where near as bad as I was thinking, P1 and P2 were exactly as I had seen and P3 ended up being a lot easier than I thought. Those numbers equal a hell of a lot of time spent inside the one place. It helps that Nighthold is so incredibly beautiful so it’s a great place to spend many hours. 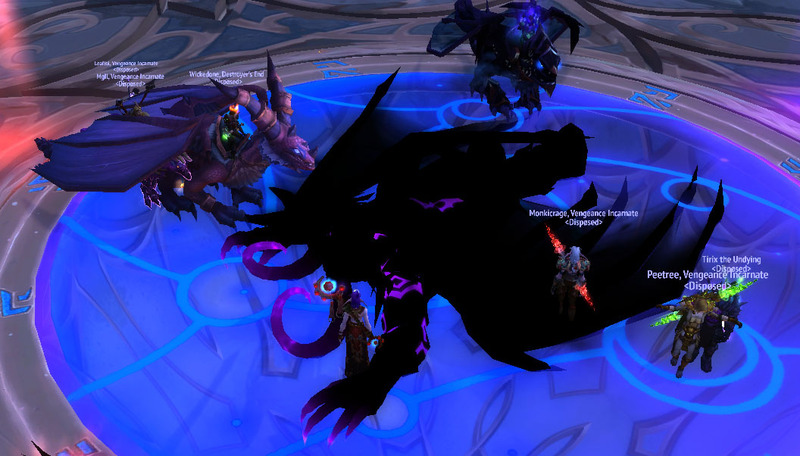 Killing Gul’dan marks the end of this tier and it took 3 raid teams and 2 factions to get here but now with 2 weeks before Tomb comes out, it gives me a bit of time to enjoy not being in Nighthold as much and time to start looking at the next set of fights. I’m really excited to see Tomb next but I really wonder where I’ll be by the end of the next tier. My new guild seems quite nice but it hasn’t grabbed me the way both Deadline and Misanthropy did right from the very start so who knows what the future brings. Hopefully a whole lot more raiding though. 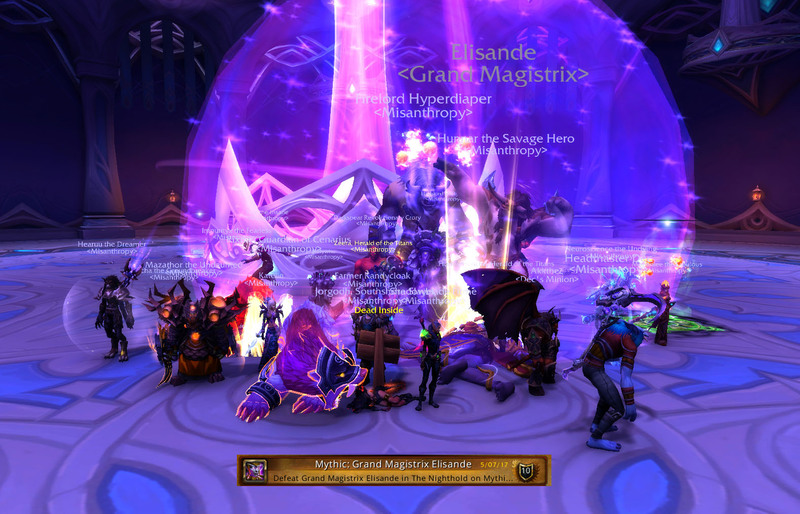 We killed Mythic Elisande last night on our 3rd prog night, making her even faster than Star Augur. It did help that there were a few changes to her health and mechanics the 2nd night we were on her. Clipping a ring went from being an definite death to something that might not kill you if you had enough health and we were quick to top that person back up. I was dreading this fight at the start but it ended up not being too bad at all. 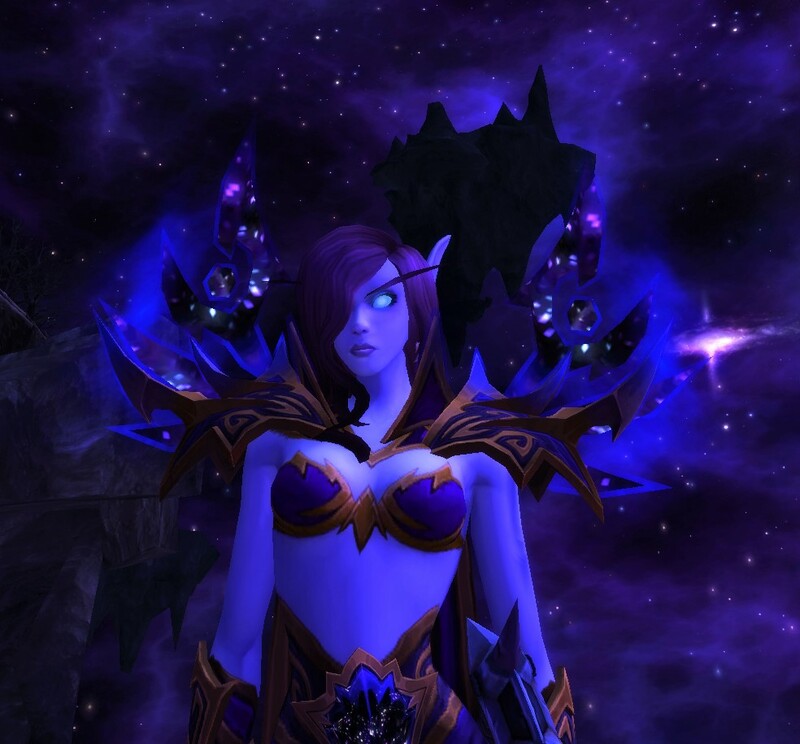 The changes to the mythic version felt almost minimal, especially compared to the changes Star had. However dps had a few extra things to look out for – killing the adds at the right time and interrupting a lot more; you’d notice pretty quickly if interrupts didn’t happen as damage would skyrocket. Dodging the 2nd set of rings wasn’t as bad as I was expecting and it turned into a smooth little dance; we’d run either to the right or left of the blue slow time orb into the gap and then spin around to face to boss again and pick the gap as the rings spun back out. As spanning singularity targeted a random ranged/heals, we needed to go stand on the edge of the wall right before singularity came out to make sure it dropped there and out of of the way. That was actually a much easier change to just having it drop anywhere as we didn’t need to move around it during the fight. I really wanted to take spring blossoms on this fight as we were pretty much stacked on top of each other for most of the fight and the talent would have been awesome, but I found a 2min tranq lined up better for me with the Delphuric beams in P2 and P3. There was one refresh of the haste buff, that speeds up my cooldown timers, I missed a few times because it expired not long after a ring came out and sometimes I was too far away depending on the path I took to dodge back through the incoming rings. I think if I made sure I refreshed my haste buff each time, I could probably have gone to spring blossoms as the remaining CD on tranq when the beams came out in p3 was only about 20 secs or so. I am incredibly glad that we were able to 4 heal this fight because when I was researching it, a lot of guides were still suggesting that you could take 3 heals. It annoys me no end the lack of consistency between fights, because when fights are tuned so tight around a dps check, it can be easier to drop a healer to skip a damaging mechanic and bring in an extra dps. Obviously the easier answer is to make sure your healers can dps as well as a dedicated dpser but I don’t think there’s anyone in our healing team that could pull equivalent dps numbers; I know I couldn’t. 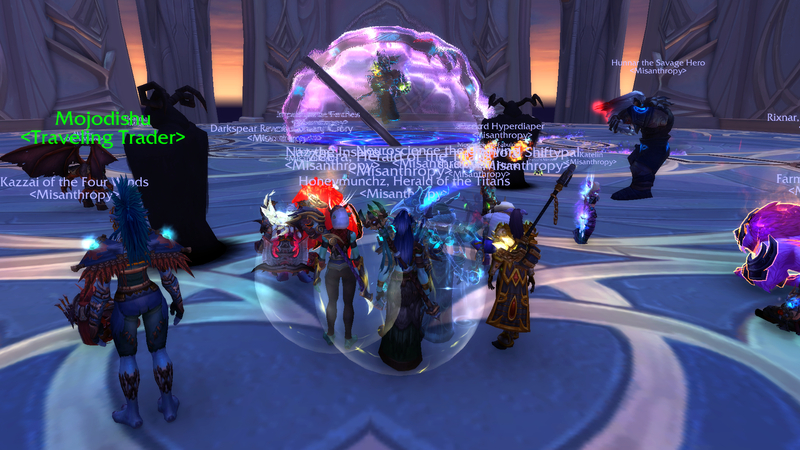 And while I’m super excited to be standing in front of Gul’dan now, because of the mechanics being so punishing to ranged dps, we’re in the same predicament now of sitting one of the ranged for an extra melee. 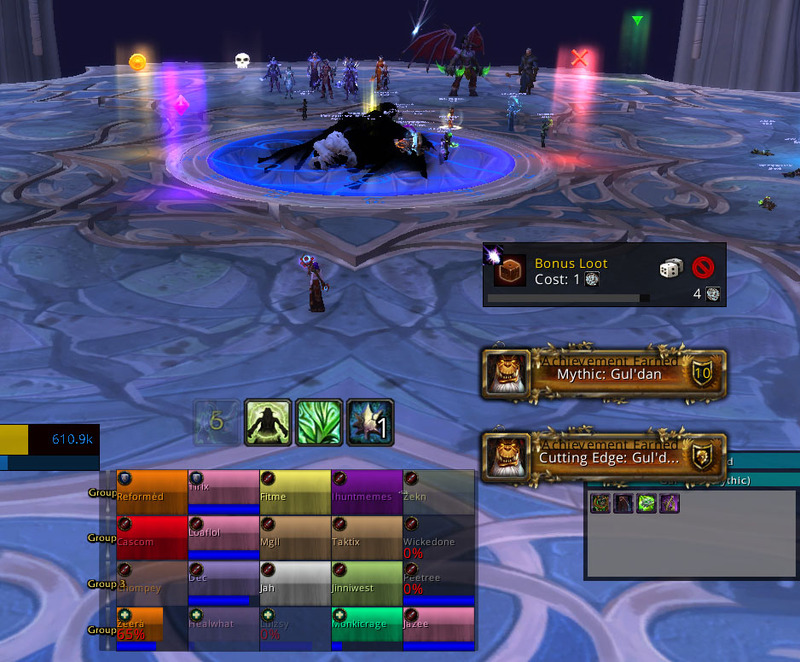 We’ll all eventually get the kills we’re missing and it’s part of mythic raiding to be pulling in the classes/roles you need but it’s still a little frustrating. It would be nice to be able to take the same amount of roles from start to finish. Gul’dan’s fight looks freaking chaotic and insane but we have about 6 weeks until Tomb comes out, so we have a fairly good shot at getting him down in time. We spent the rest of last night, after Elisande, on him and were starting to get a bit of a grip on P1. It was originally a 16 min fight but the recent changes that were made to him too, have brought it down to around an 11 min fight. Learning the different phases is going to be quite the journey. I am so freaking excited about this! Today is exactly 2 months since I joined Misanthropy. If you had told me 2 months ago that I would be progressing on Mythic Gul’dan while it was still current, I wouldn’t have believed you. And the best part.. not only is the raiding great, I really like the guild too, I’m so lucky to have found awesome people to be doing this with. 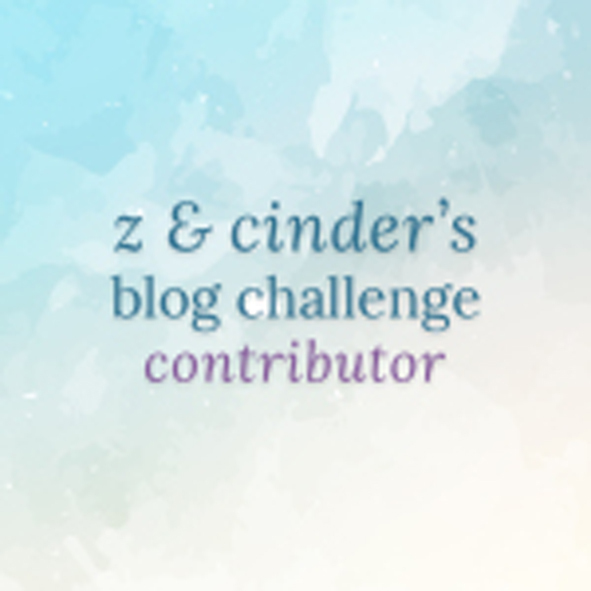 It feels like forever since I’ve blogged (it’s only been 5 days, but you know.. Forever). We started Mythic Elisande last night. 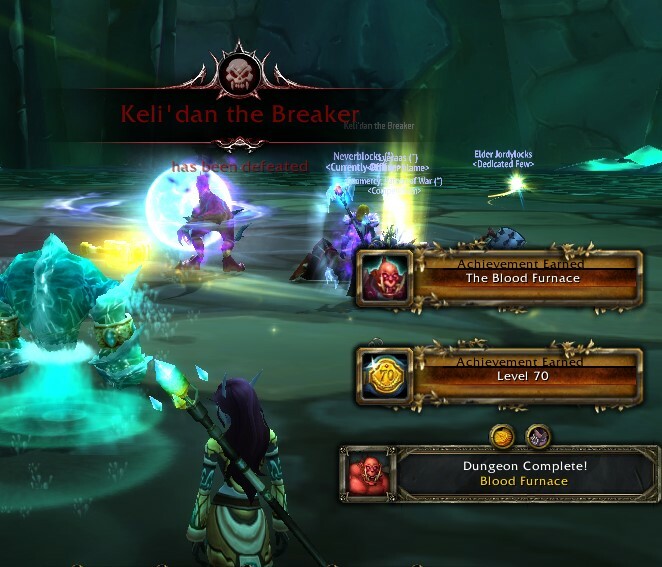 The raid team got Star down last week but there was a healer change at the last-minute on the 3rd night of progression, going with a priest/pally/druid combo rather than pally/druid/druid. 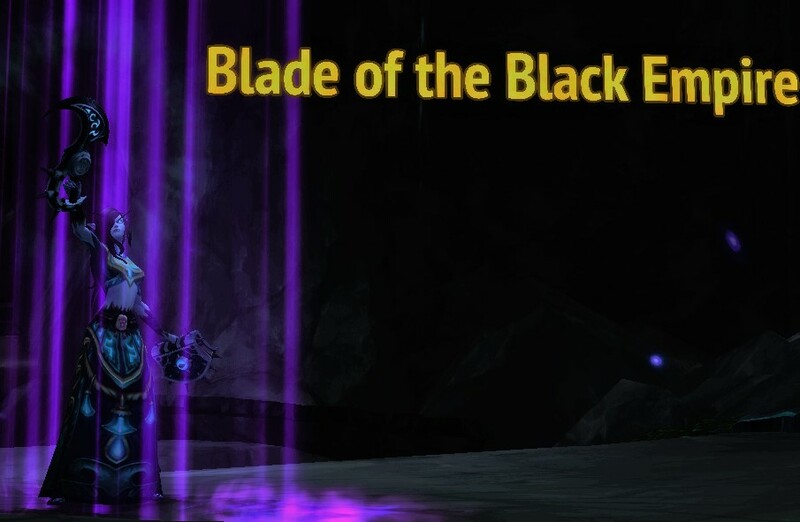 We got it to 1% with me in there on the 2nd night of prog so it wasn’t a healing issue but we had a new pally come in and the priest had been sitting out the other nights so there was quite a bit of healing team shake up. At least he died and we’ve only got 2 bosses to go now and 7 weeks to do it! 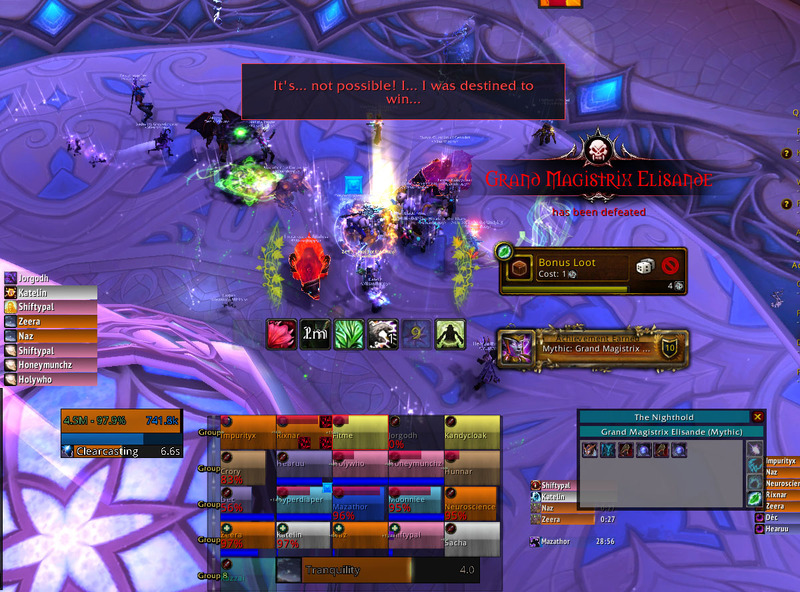 I was the most worried about the rings on Elisande because in mythic, once they come in, they swirl outwards again and you have 2 sets to dodge. I spent a lot of time watching kill videos over the weekend and found that most of the people I was watching play with their camera in a really top down view. It’s not how I usually play, (though on Star I needed to a bit), but top down really does make seeing the gaps in the rings much easier and dodging them didn’t end up being too much of an issue. By the end of the night we were getting consistently into the 2nd phase so hopefully it won’t take too long for us to learn that bit and start getting into 3. Starting this fight is just shades of Star fight and the crappy camera view all over again as we stack hard up against the wall to bait the first Spanning Singularity pool of goo out of the way. I did manage to pick up tier legs from our last run through heroic (thank goodness for so many druids in our raid as our tank didn’t need the ones he looted) so I could equip my ‘selfish’ legendary chest without losing my 4 set bonus. Ekowraith buffs both my passive (mostly self) healing and the damage reduction that comes from Guardian Affinity by 75% which is helpful for learning the fight but does nothing for boosting my healing, so it will get swapped back to a proper legendary as we get closer to phase 3 and a potential kill. I spend a lot of time looking at logs and so many of the druids ranking above me on fights are running the Aman’thul shoulders/Velen’s trinket combo. After looting my 8th resto legendary on the weekend, that just leaves Aman’thuls and Velen’s to drop for me. It’s rather ironic that the last 2 are the only 2 I really want, especially the healing trinket. Naz (the other resto I heal with) also doesn’t have it so we console each other each time we see yet another alt in the guild loot it, even my bloody priest alt has Velens! It was just on 2 weeks between looting my 7th and 8th, so I’m hoping that it won’t be too long before these last 2 turn up, so I can test them out and see if they are as good as they appear together. 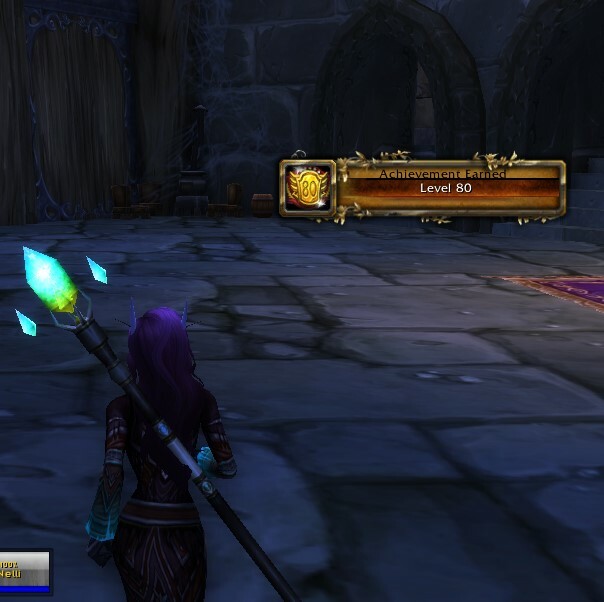 The other perk of when I get the last 2 resto legendaries mean that I can turn my loot spec to boomy for the first time in nearly 8 months and I can also start taking my priest alt along to our heroic farm nights/weekend older raid AP runs. I do everything on Z I can to keep her legendary chance ticking along, which means I won’t get on an alt if I don’t have to. Same goes for AP, once I hit Concordance of the Legion, it’s all going to get pumped into my boomy weapon and/or I can take the time to play more on another toon. Blizz have done a really good job of making alts a really tough decision to play in this expansion. Having said that though, I did spend time on my priest over the last few days and got her enough order hall resources to finally let her equip her second legendary and pick up a bit more gear (invasions + nethershards =win). 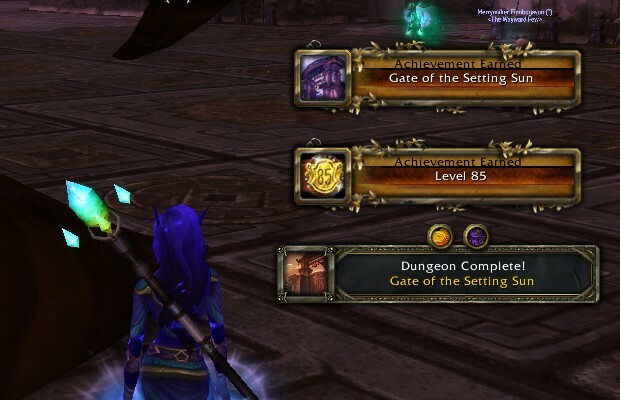 She’s still going to need a bit more work before Tomb as her ilvl is sitting around 882 which is going to be too low if I do want to use her for alt/split runs. More raiding tonight so we’ll see how our second night of prog goes. Mythic Tichondrius makes 7/10! Resto Druid perspective. Mythic Tich officially took over from Spellblade as my favourite fight so far. It’s a much more fun fight and I really think way easier (from a healing perspective anyway) than Spellblade. I don’t know why he isn’t earlier in the list of bosses to kill. 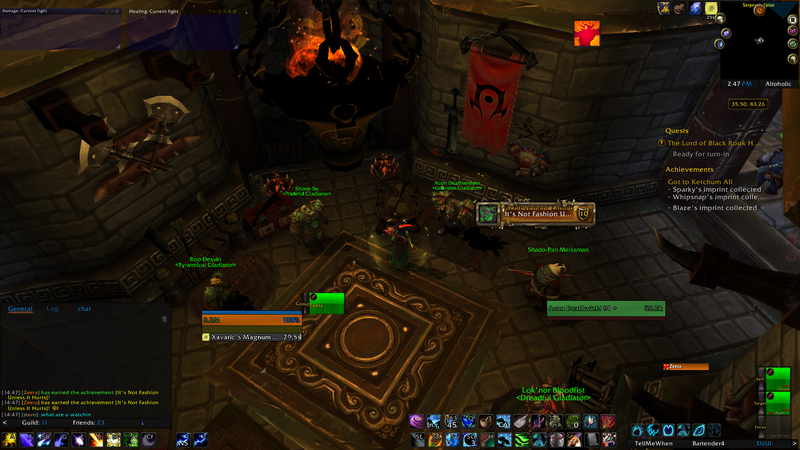 We ended up killing him on our second night of progression on him and with about 20 less attempts than on Spellblade. He does have a couple of one shot mechanics which I guess make him mechanically more difficult because you can’t muck them up. From my point of view there really weren’t any huge changes from heroic to mythic. We decided to hold onto our brand circles rather than pop them to avoid the massive raid damage and green pools of bad they drop and this made that mechanic easy. We had a lot of ranged though so there were points where we could have easily blown them up by overlapping so it did mean you had to be really aware of where you were standing compared to other people. It got a bit juggly in the part where we had to hide behind the pillars as we had 5 people behind each pillar which is the amount of people needed to stack to pop the circles, so we had to be really careful we weren’t all tightly stacked on each other but spread out in a line behind it. The only really scary place was in the night phase when the bats come out and they drop orbs which you need to run over to pick up and which give you a debuff. The debuff is actually more like a buff because it gives you huge mana regen and damage bonus. The tricky thing is, if you don’t have that debuff when the phase ends you die instantly. It meant that our dps had to be really quick about killing enough bats to drop enough orbs so we could all find and pick up one. This was where I ended up tranqing because we had a few brands pop as we were all jostling to get our orb of death prevention. 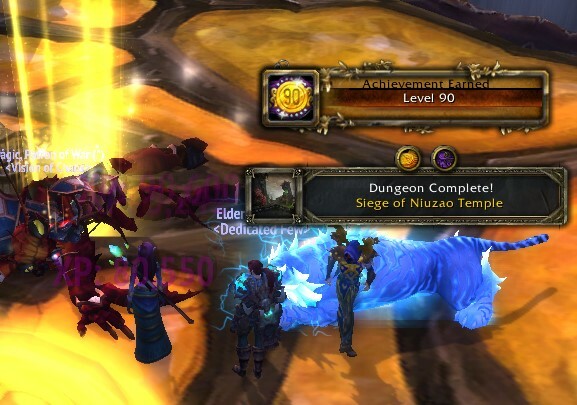 We ended up getting much smoother at this part by having all the melee clear right out once they killed the bats and picked up their buffs so ranged could get in. I set vuhdo to turn bright red once a person got their debuff and there were heaps of heart stopping moments where the phase would be about to end and there’d still be a ton of people not red on vuhdo. It was the best feeling once everyone turned red as I knew we’d come out with enough ppl left for the next phase. Mana was awesome for the first and second phases because I could blow all my mana and then get pretty much all of it back with the bat orbs. It was only in the 3rd phase where the healer only debuff went out and the big add came up that mana got really tight. 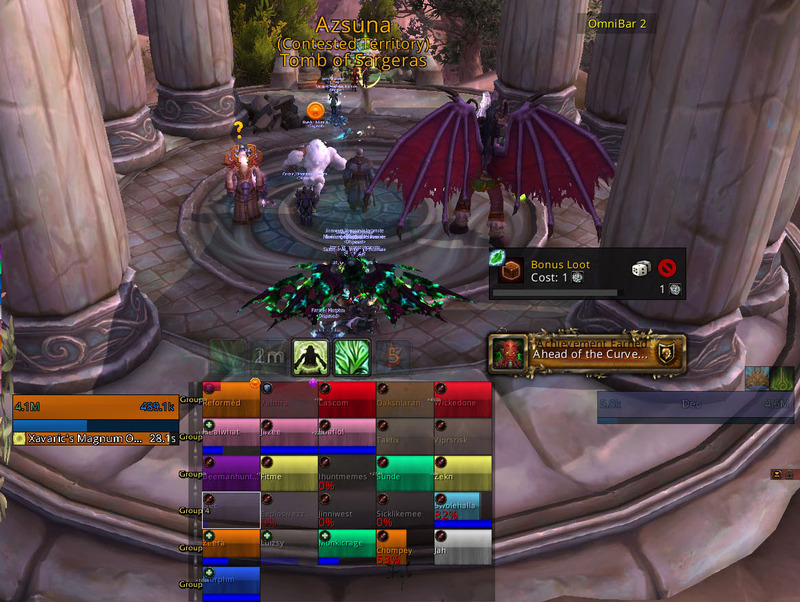 On the kill, I was watching innervate like a hawk, willing it come up early because I was running on fumes. We did have 2 healers down coming out of the final bat phase so I think if they were up, mana would be pretty much a non-issue for that final part too. By not popping brands, most of the damage was really only concentrated on the few people who had carrion plague, and especially the people who were soaking the seeker swarm. We alternated our tank with our rogues and DH’s as they could immune and live through the massive hit but still ended up with huge ticking damage on them. I swapped to Germination so I could double rejuv, especially as I was only concentrating on a few people at a time and there really wasn’t enough raid damage going out regularly enough to need a shorter tranq anyway. 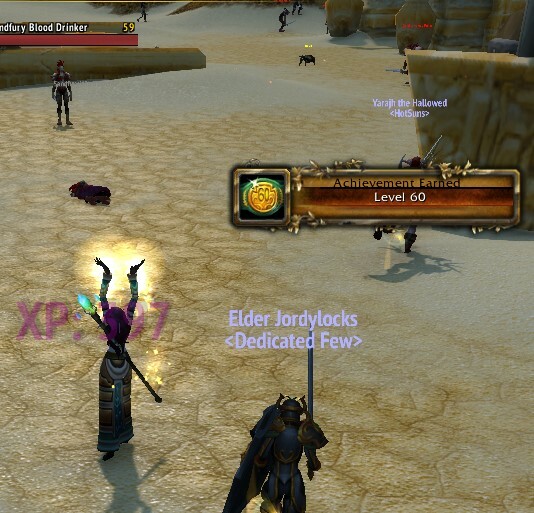 I really need to level up my enchanter and JC because I ended up buying a ton of gems and enchants and mastery food mats before the raid to swap my stats around to a heavier mastery/vers build for this fight, and then replacements to put me back to a crit/haste build after (We re-killed spell after Tich so I didn’t have to change back straight away as she favours a germination build too). But I don’t want to be doing that each week. 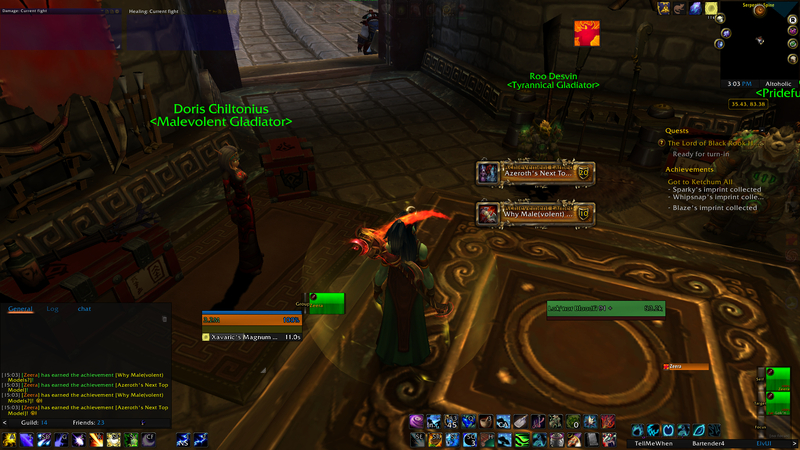 I was over the moon that I won tier shoulders off him and they warforged to 910. I have been incredibly lucky with mythic pieces war/titan forging and it’s so exciting. Naz was recording our kill which is so good to go back and watch because there’s so much of the fight I don’t really see because I’m focusing pretty much on my bars and watching the immediate people around me. So now we have 3 bosses to go and really tight timeframe to get them down before Tomb releases. It’s been a prog boss a week for the last month, wonder if we can keep that up.